Joan Collins Timeless Beauty is a completely new brand to me, a PR company offered to send me a product to sample and review so I was excited to try a new brand and a new product; I love discovering new and exciting items. Joan Collins Beauty is of course a beauty brand created by Joan Collins herself and with her knowledge and experience of the beauty world she has put together a beauty range including; skin care, cosmetics and fragrance. JC wanted to share her beauty experiences with the world by creating high quality products and using Hollywood glamour and her love for Art Deco to give the products amazing packaging. 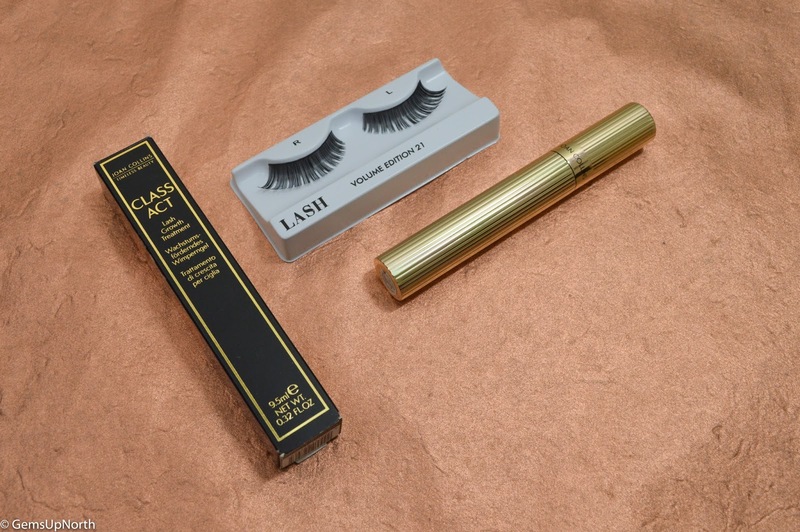 I was sent the Class Act Lash Growth Treatment* to sample and have been using this every day for the past 30 days which is the recommended time to use the product for. 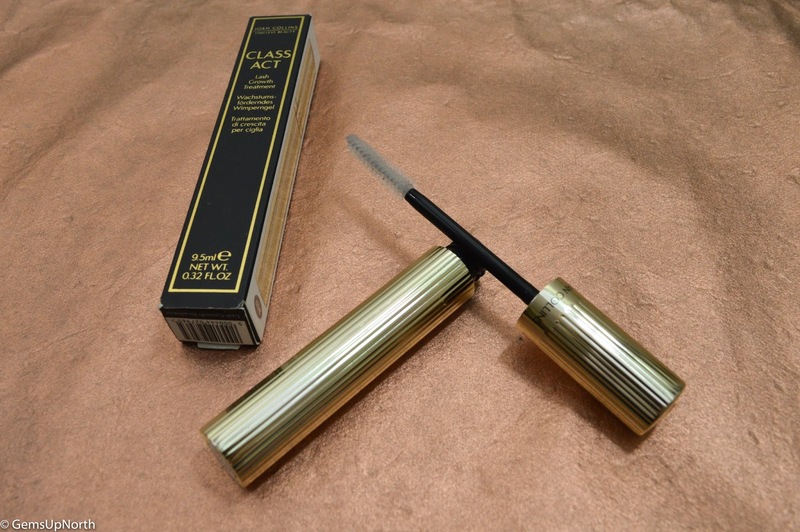 Class Act is the name of JC's mascara range with a dark brown shade and this clear treatment; each priced at £20.00. This lash growth treatment is said to enhance the volume and length of your lashes giving the impression of false lashes. I personally have found that my lashes feel and look fuller after using this treatment. I already have quite long lashes so I haven't seen much growth in length from using this product but I am mega pleased that my lashes are fuller looking and have more volume. I've been using less mascara for the past few days as well. Since the treatments 30 days is over I've decided to continue to use the clear mascara but not everyday, I shall be applying the mascara every few days to keep my fuller lash look. The product is really easy to use but I found it strange at the beginning of the treatment process. The packaging says to apply the clear mascara at night before you go to bed, I found this hard to get used too as I felt as though I was applying makeup to sleep in. The mascara gets to work on your lashes throughout the night and after a week I was in a routine of applying the treatment before I went to sleep. 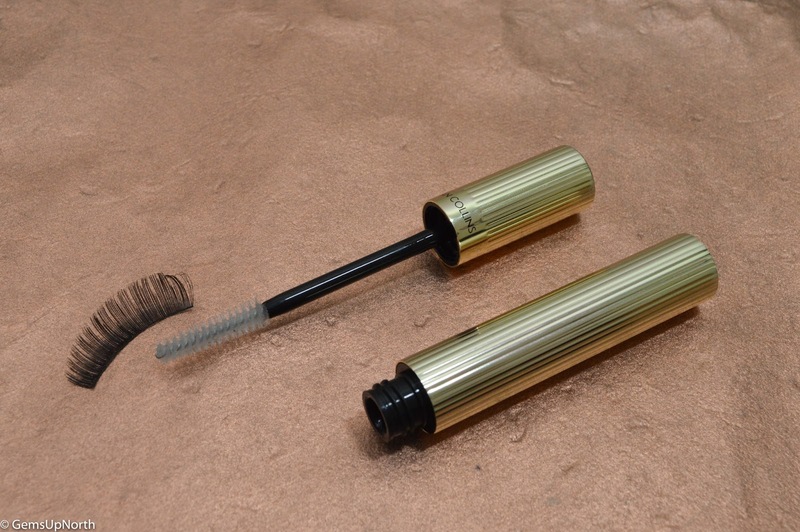 The formula is lightweight but very moist, it's much thinner than a regular mascara, I found applying less worked for me and I experienced no clumping. Going back to the products packaging, it definitely has an Art Deco feel to it. The full gold casing with the brands name printed on the lid and straight lines running all the way down the case really gives a Hollywood glamour and art deco feel. The box features Joan herself and the product and usage information, it's all very clear and easy to understand. Overall I do personally think the brand itself is aimed at a more mature customer so its not a brand I would look to for my makeup bag but I am glad I've had the opportunity to see and try out the quality products JC has in her range of cosmetics and I am pleased with my more voluminous lashes that I've gained from using this clear lash treatment. 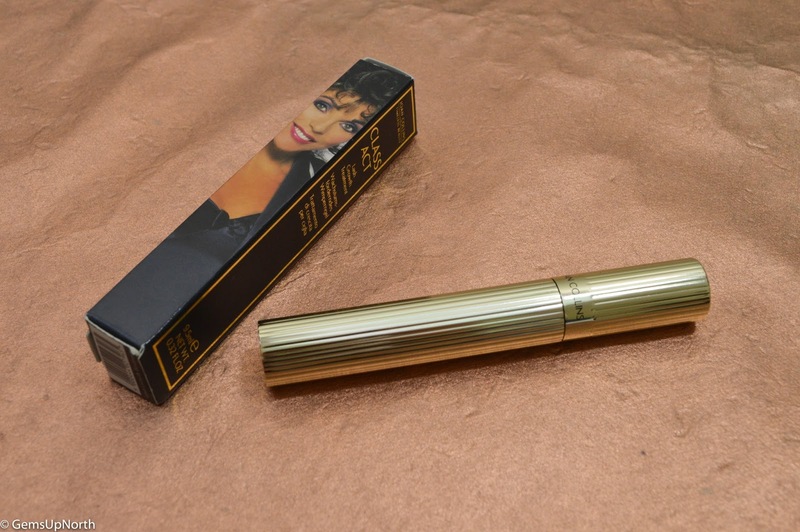 Have you tried any products from Joan Collins Beauty?